Many jobs require dumpsters to gather and haul away debris. 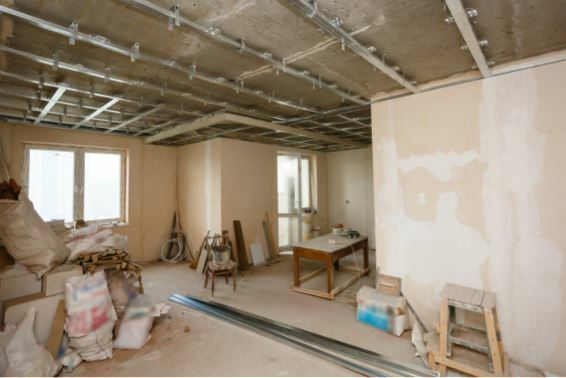 Even a small renovation can produce a large quantity of waste. The key is finding a company that offers dumpster delivery and pickup at affordable rates with flexibility. In a perfect world, every construction job would go smoothly and stay within budget and schedule. Unfortunately, this isn’t a perfect world, and sometimes things go awry. Whether you are a contractor or DIYer, you need to know that the services and equipment you use will be available to accommodate you. Choose a waste management company that will work with you and adapt to your needs. Priority Waste is available to offer dumpster delivery when you want it. We even provide same-day service. Let us know what you’re doing, and we’ll make sure your dumpster is there to keep the worksite clean and safe. No two jobs are the same, which is why you should have options when choosing your dumpster. Capacity is essential to the effectiveness of the container you use. If it is too small, then you’ll have to pay for another dumpster. If it is too big, then you could be paying more than you should and whittling away at your project budget. Priority Waste offers four dumpster sizes, ranging from 10 yards with a 2 ton capacity up to 40 yards with an 8 ton capacity. Rent a dumpster that meets your needs without paying more than you should. What if You Need More Than a Dumpster? It’s far more convenient to have one go-to source for all your waste and recycling needs. 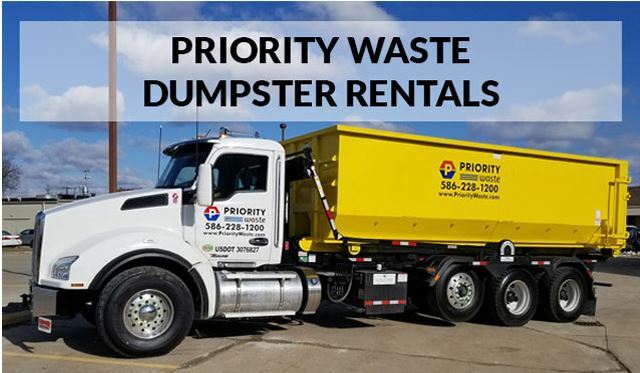 Priority Waste does it all, from dumpster rentals to recycling programs and residential cleanup. Call us now to learn more about how our services can help you. 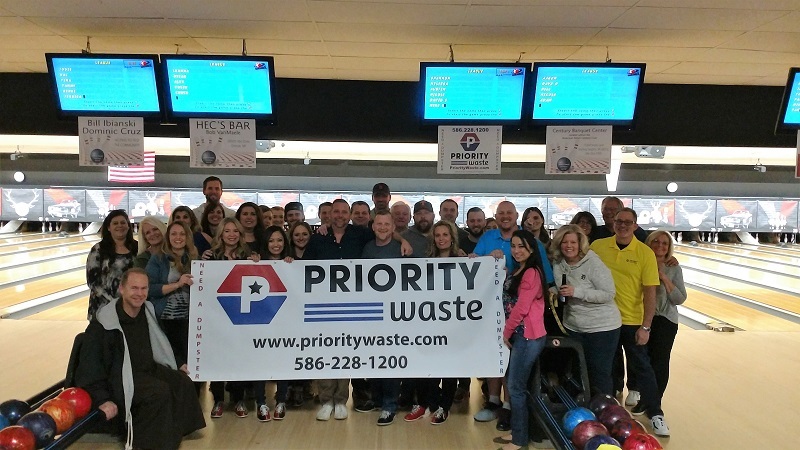 Priority Waste enjoyed Friday night at AMF Rose Bowl Lanes by participating in a bowling fundraiser benefiting John W. Smith Charities & The Capuchin Soup Kitchen. 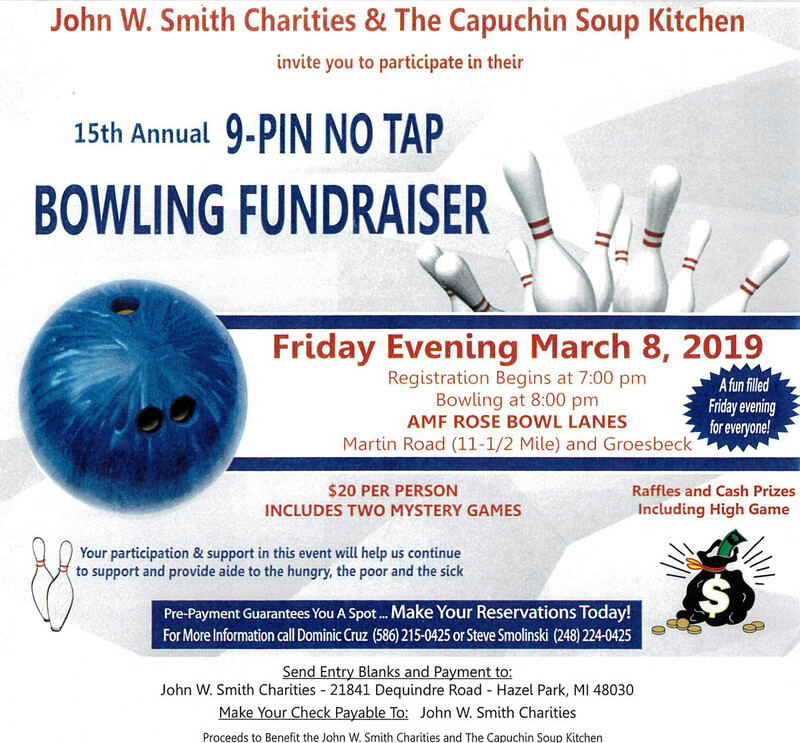 This important fundraiser helped raise money to support and provide aide to the hungry, the poor and the sick. 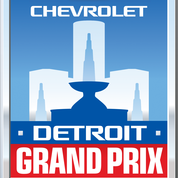 We feel honored to be included and humbled to help in such an important cause in our community. 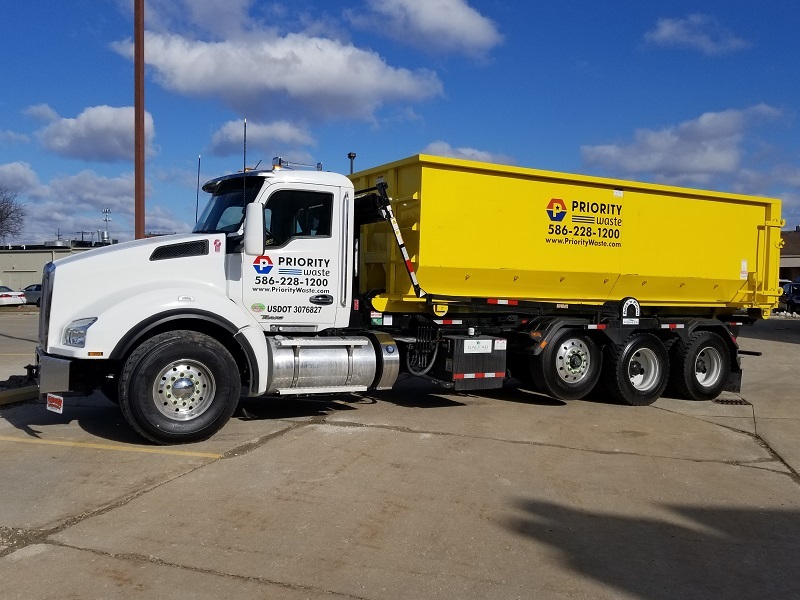 Why Is Priority Waste Michigan’s Best Dumpster Rental Service? There is a good chance that at some point, you’re going to need a dumpster. From construction sites to home moving cleanouts, there are many situations that can generate a lot of trash. 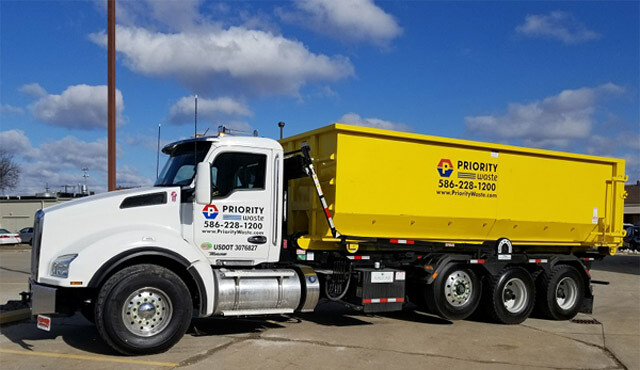 Priority Waste offers the best dumpster rental service in Michigan. Why should you consider working with us the next time you need to haul away refuse? We want to give our customers the best experience possible, and that means maximum value for every dollar you spend. Our dumpster rentals are competitively priced so that they fit comfortably into almost any budget. Four dumpster sizes are available that cover just about any waste removal needs. If you have a light load for a residential cleanup, try our small 10-yard dumpster with a capacity of up to two tons. Our 20-yard container can hold an additional ton while our 30-yard unit handles up to six tons. We also rent a 40-yard dumpster with a capacity of up to eight tons for large projects. Sometimes things happen, and you need trash removed fast. Priority Waste offers same day service that can be a lifesaver when you have to work quickly. Give us a call to get a quote for same day delivery. Our team consists of industry experts that understand waste removal and recycling. When you choose Priority Waste, you gain access to our knowledge and experience. Contact us today if you have questions or to learn more about our Southeast Michigan dumpster container rentals.